A Brewing Revolution in Germany! A brewing revolution in Germany you ask? How could one of the world's greatest brewing countries, already rich with tradition, have a revolution? Well, this very topic came up in a recent article I read in the weekly German news magazine "Stern." Kleine Hausbrauereien zeigen, wie lecker Bier schmechen kann - in Berlin gibt es besonders viele davon." Small 'Hausbrauereien' show how delicious beer can taste - in Berlin there are particularly a lot of these. The article interviews and reports on a handful of the dozen or so new breweries that have cropped up in Berlin recently. The term "Hausbrauerei" is a bit of a misnomer. These are not really "home breweries," though some are located in residential areas and quite quaint. Rather the term probably closest compares to our term "Brew Pub." The term implies new, small, and craft. I'm not sure if I'd go as far as to use the word "artisan." I've still never met a German brewer that would consider himself an artisan. That distinction can be left to the Belgians. Berlin's most common drink is Pils beer, and that general region is probably best known for Berliner Weiße and Schwarzbier, but read below for what the newcomers are serving up. These new breweries are a bit unconventional by German standards. Some of the Hausbrauereien have their roots in homebrewing. Making beer at home is a hobby that is not as popular in Germany as here. Remember, our homebrewing past grew out of necessity. There has never been a shortage of excellent beer in Germany - hence the lack of necessity. Most German brewers are professionally schooled and come from traditional brewing families; it is not as common to rise out of the homebrewing ranks. The ever-present bug of homebrewing creativity shows up in these boutique breweries. Eschenbräu is a Hausbrauerei in the center of Berlin. Brewer Martin Eschenbrenner brags of using "USA Cascade Hopfen" in his "PankeGold." What? Grapefruity "C-hops" imported into the biggest hop producing country in the world? Germans are not used to non-noble hops. I'm sure it catches a few patrons off guard. 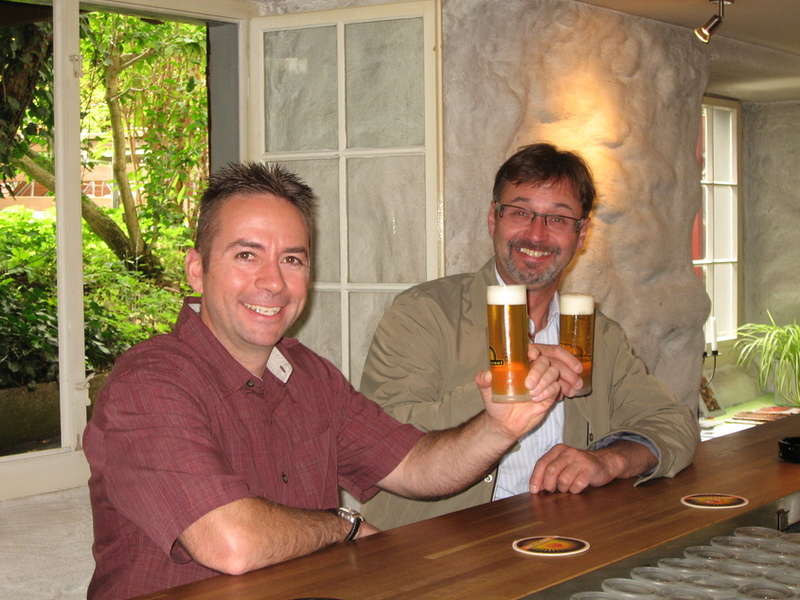 Germans are fiercely proud of their beer purity law - the Rheinheitsgebot. Most German beer bottles, especially those from Bavaria where the order originated, adorn their labels with "Gebraut nach dem deutschen/bayerischen Rheinheitsgebot." Since 1516, the world's first food quality law has guided beer production in this land. But there is a debate in the beer-lover community. Is the Rheinheitsgebot a good thing or a bad thing? The Germans are undoubtedly the world leaders in brewing science and beer quality. Germans are engineers that brew, using the famous ordinance as their blueprint. But many argue it inhibits the brewer's creativity and flexibility. Germans can't even artificially carbonate their beers let alone use orange peel and coriander (Wit comes from Belgium), or even use roasted barley (which is not malted). So how do these creative, new Hausbrauereien get around the Rheinheitsgebot and use ingredients such as pumpkin and potato starch? The don't call their product beer. Guinness contains a high percentage of roasted (unmalted) barley in its grain bill - definitely verboten. Eschenbräu brews a similar version of this beer, but they call it "Schwarze Molle." This means "black Molle" - Molle is a colloquial term in Berlin for a glass of beer. Berlin is a very international and cosmopolitan city, so it is well suited for this new trend. But the proliferation of Hausbrauereien is not limited to the German capital. There are other new breweries like this popping up across the land, and also examples in neighboring countries. While visiting Switzerland in the fall of 2009, our good friend from St. Gallen took Joycelyn and I to the "Huus-Braui" in the hamlet of Roggwil near the banks of Lake Constance. I take Huus-Braui to be the rough Swiss German equivalent of Hausbrauerei. This was a quaint little brewery with the main bar and brew house located in the cellar of an old building. There was a modestly sized beer garden outside in the front. Co-owner Marianne Hasler gave us a interesting private tour of their modern brewing facility, and then served up several very tasty beers including their Hell, Gold and Dunkel. What about Bavaria? To be honest, I have not seen this trend spread to Bayern, nor do I expect it to. First of all, Bavaria is already flush with breweries. German has 16 states (Länder), but half of its 1300 breweries are in the single state of Bavaria. There is little room for more, and Bavarians are typically quite happy with their local breweries. Also, Bavaria is not what I would call of progressive or cosmopolitan. Tradition reigns there. Nor are they overly concerned about trends in other parts of Germany. They are very independent people, still calling themselves Freistaat Bayern. (the free state of Bavaria) Nor do they particularly care about Berlin, or the north in general. They occasionally label their counterparts up there pagan Prussians. (technically they are Protestants) Munich is their capital, not Berlin. Bavarians pay little attention to what is going on north of the "Weißwurst equator." When I visit Germany I love the tradition that comes with each glass of beer. With that said, the proliferation of these less traditional Hausbrauereien appears to be a very positive movement. A little creativity never hurts. And despite the US hops and unconventional ingredients, most of these breweries still serve German staples. Pils, Weizen, Dunkles, etc. 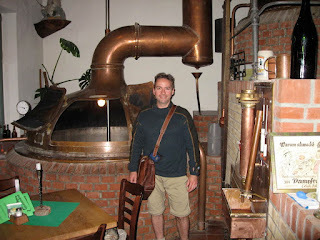 In 2007 Joycelyn and I visited the former East Germany, and we did visit and tour a new brewery called Forsthaus Templin. Forsthaus is just south west of Berlin between Potsdam and Caputh. I'm not exactly sure if this brewery considers itself a Hausbrauerei, but at a minimum there were similarities. We enjoyed some excellent beers there with our host Sabine and her family. And what about the Rheinheitsgebot debate? Is the Rheinheitsgebot good or bad? I concede, it does limit the flexibility of the brewer. With that said, there is still a diverse selection of German-style beers. In the end, I'll argue that you can't argue with success. This order is the foundation for a brewing culture that the rest of the world is indebted to. If I had to make a list of the best breweries and beers in the world, the top would be heavily loaded with Rheinheitsgebot entries. As people in the US argue this point, I believe the Germans have earned the right to simply say, "scoreboard." 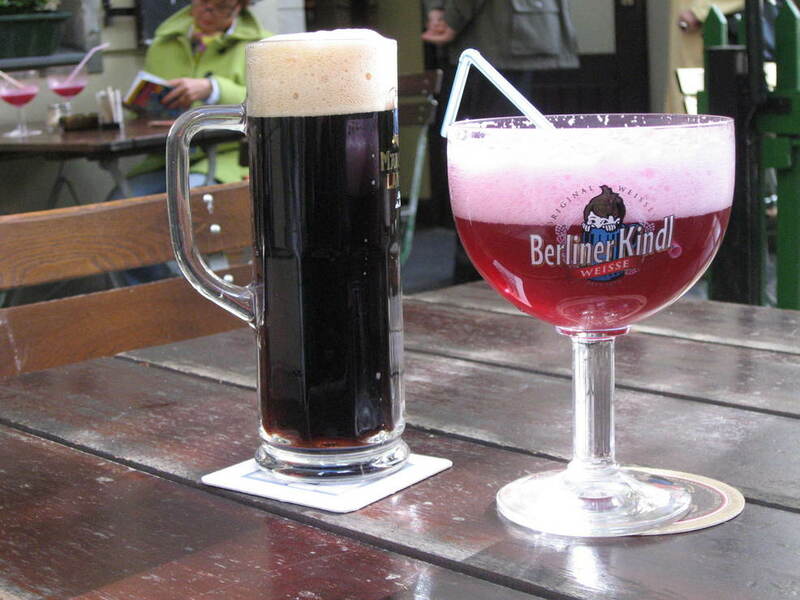 Here is a list of some of the Hausbrauereien in Berlin. Drop me a note if you get a chance to visit any of these. The next time I'm in Berlin many of these will be on my list.